This medication is a good option for once-daily allergy relief. This comes in three forms; tablet, disintegrating tablet, and syrup. You can take all forms by mouth. How does Clarinex (Desloratadine) work? Clarinex (Desloratadine) blocks one type of receptor for histamine (the H1 receptor). It prevents the activation of H1 receptor-containing cells by histamine. This drug does not readily enter the brain from the blood and causes less drowsiness (sedation). Histamine is a chemical that is responsible for many of the signs and symptoms of allergic reactions like swelling of the lining of the nose, itchy eyes, and sneezing. Clarinex (Desloratadine) works by blocking a certain natural substance (histamine) that your body makes during an allergic reaction. 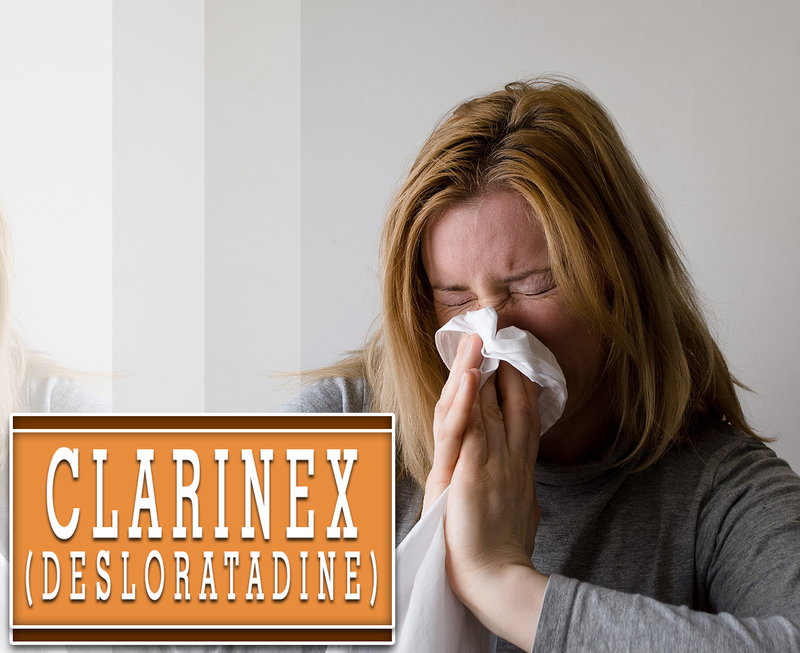 Clarinex (Desloratadine) belongs to the class of medications called antihistamines. A class of medications is a group of drugs that work similarly. These medications often used to treat the same conditions. Clarinex Tablets are light blue, round, and film-coated that contains 5mg of Desloratadine for oral administration. It is a white to off-white powder that is slightly soluble in water and very soluble in ethanol. The Food and Drug Administration (FDA) has approved this prescription. How to use Clarinex (Desloratadine)? The recommended dosage depends on your condition, age, and response. For adults and children 12 years or older is 5mg a day. For children 6 to 11 years of age, 2.5mg of the syrup or 2.5mg of the tablets once a day. For children, 12 months to 5 years old should have 1.25mg of the syrup once a day. For children, 6 to 11 months old are treated with 1mg of syrup one a day. You may take the medicine with or without food. Take it exactly as it is prescribed. What are the side-effects of Clarinex (Desloratadine)? Stop taking this drug and call for medical assistance if an allergic reaction happens. Taking this medication in higher doses may make you feel sleepy. Do not take more than the prescribed dosage. Keep this away from the reach of children or from your pets.